In Notorious Vow, Russell was not only Earl of Northam, he held the title Marquess of Wimberley. His pursuit of Vivien took place primarily in the large, modern town home of Northam House, situated in a prominent place in Grosvenor Square. But on one memorable occasion, the turning point of their relationship occurs at Russell’s other official residence—Wimberley House in Aldersgate. At the time of its construction in the late medieval period, Wimberley House was in a suburban neighborhood of London. A lovely facade was added by Inigo Jones in the mid-seventeenth century. Then the mansion came into the hands of Russell’s maternal line, the London property of the marquisate gifted by Queen Anne to his great-grandmother, a beloved lady-in-waiting to the Stuart queen. Shaftesbury, sometimes called Thanet House, was my inspiration for the ancient London townhome of Wimberley. 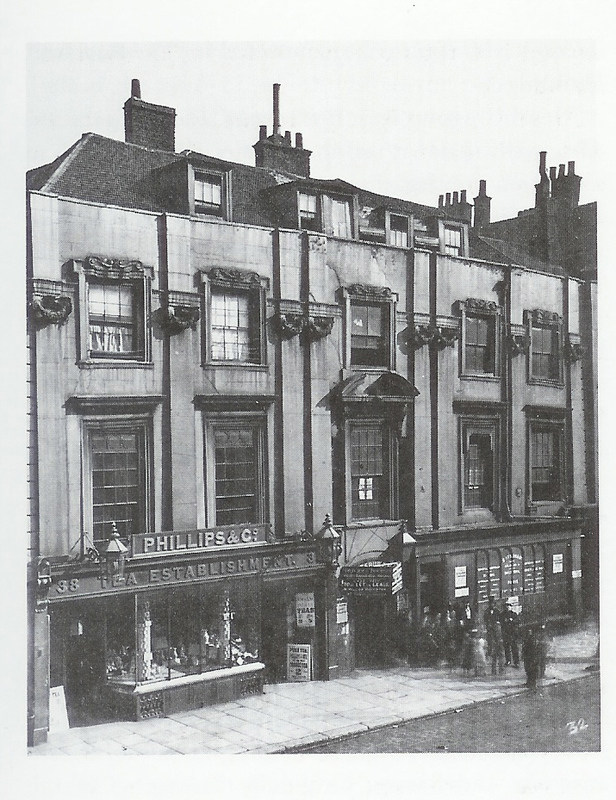 There are very few extant photographs of older residences of the peerage dating from before the Great Fire. Obviously, that catastrophe was partly responsible for this paucity, but it would also be correct to say most of these older palaces had been torn down before the advent of photography, after being converted to hospitals and government facilities. was finally demolished in 1882. This entry was posted in Notorious Vow, Regency and tagged Aldersgate, medieval London, Thanet House, Thanet House Aldersgate medieval London by Angelyn. Bookmark the permalink. I love all these wonderful houses you have found. How sad that it was demolished. The architecture is just glorious!